Over the past few decades, the world’s governments have endorsed many international agreements relevant to the conservation of biodiversity, demonstrating their willingness to cooperate in tackling important environmental issues. The challenge now is to harness this commitment and ensure that concrete actions are taken where they are most needed. In several countries, the engagement of civil society and indigenous peoples’ organisations has resulted in impressive progress. There are signs of increasing action in the private sector, too. Legally binding agreements between governments are one of the main ways in which countries can co-operate to achieve common goals. Eight such treaties are particularly important in environmental management and the maintenance of biodiversity ( ). Almost all governments are 'contracting parties' to one or more of these agreements and taken together, they provide a strong basis for concerted international action. However, in practice, the obligations on governments have often been vaguely or weakly formulated, to encourage as many countries as possible to participate. Over time, however, obligations and targets can be improved, for example through the adoption of specific protocols or detailed work programmes. The most wide-reaching of the international environmental agreements is the Convention on Biological Diversity (CBD) which entered into force in 1994. Parties to the CBD make important commitments concerning the conservation and sustainable use of biodiversity, and access to its benefits, but these are only patchily and often inadequately realised in national legislation and planning ( , ). There are, however, some encouraging examples of governments working with civil society and indigenous peoples’ organisations to turn paper commitments into concrete actions (CBD: , UN Fish Stocks Agreement: ). There are still some important gaps in geographical coverage of the Convention on Biological Diversity and other multilateral environmental agreements that reduce their effectiveness. In addition, not all species and sites that have been recognised as of importance under one or more agreements are yet the subject of conservation action ( , , ). BirdLife Partners have increasingly been working both directly with the conventions and through their member governments to try to fill some of these gaps and thereby help secure the conservation of threatened birds and Important Bird Areas ( ). A key aspect of sound environmental governance is ensuring that development activities do not have an overall negative impact on biodiversity. The private sector has an especially important role to play in this ( ). 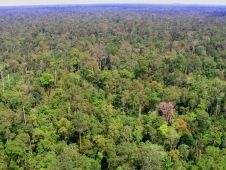 One approach that is currently being explored is the use of so-called ‘biodiversity offsets’. These compensate for unavoidable residual impacts on biodiversity in one place by making a positive conservation impact elsewhere. Because there is no one single measure of biodiversity it is difficult for all parties to agree on what might make a suitable offset in any given circumstance. A partnership of companies, governments and conservation experts, including BirdLife, has been attempting to address this issue, coordinated by the Business and Biodiversity Offset Program (BBOP, ).